Now that Thanksgiving is over (and a wonderful day it was), my cookie selection for Christmastime begins. 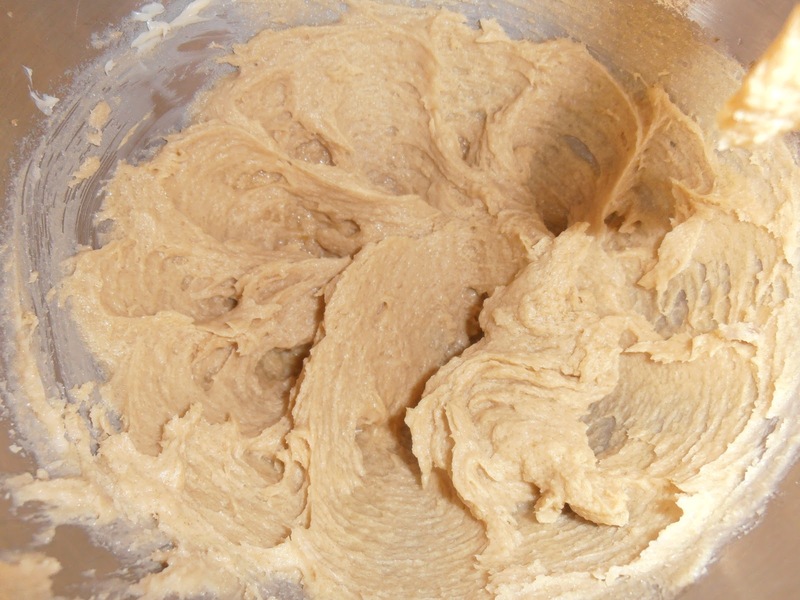 It's the one time of year I look forward to baking for 4 straight days in a row. Where I come from, the definition of a Christmas cookie is, "Anything that is homemade during Christmas and for Christmas". Where I live, it's "Anything that looks difficult to make using lots of ingredients while donning the colors of red, green, and blue in or on it". I have actually gotten into several heated arguments with people about what a Christmas cookie is. 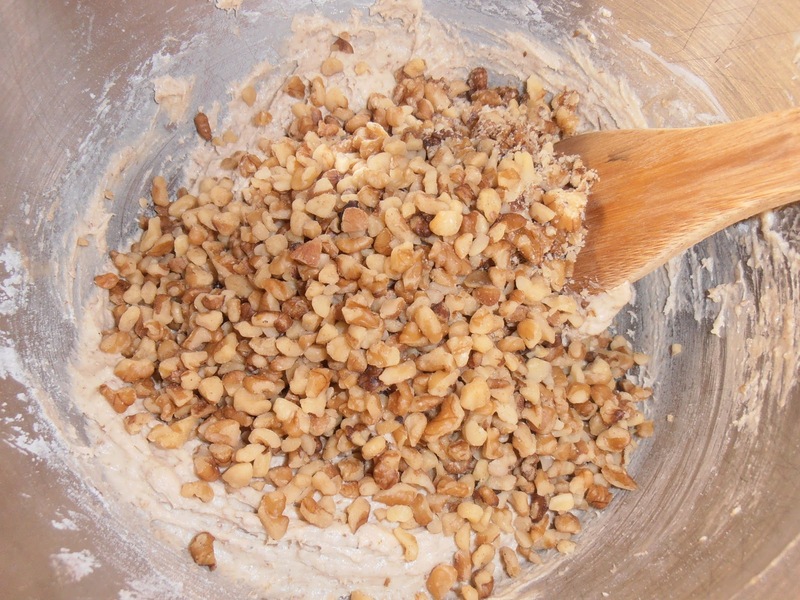 My answer will always remain the same every time - if a cookie is made at Christmastime, it's a Christmas cookie. Period. Period. and Period. 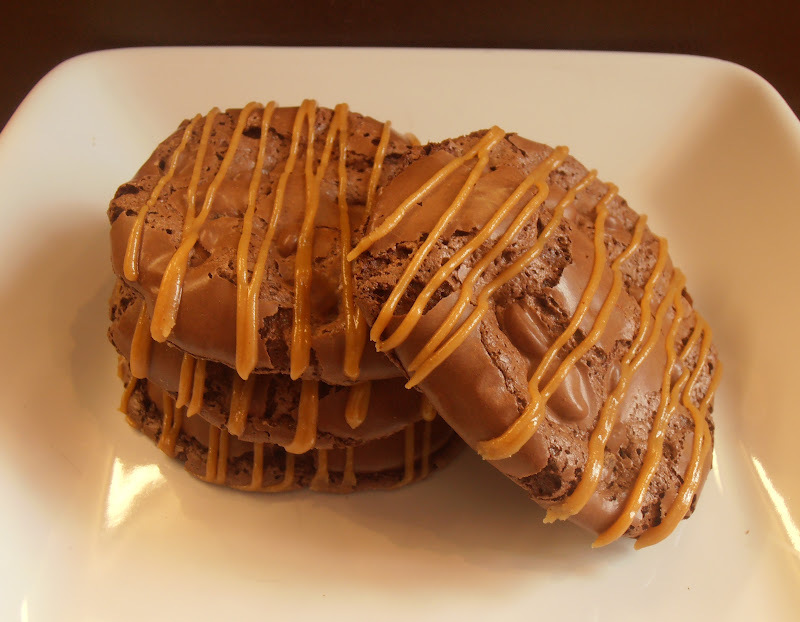 While I love almost every cookie known to man, there are some I just do not. Cookies with any sort of dried fruit in them such cherries, apricots, or pineapple are forbidden near me (however, cranberries and raisins are embraced with open arms) and cookies with ginger as the main ingredient need not apply. I also don't like care for cookies that have way too many nuts or are swimming in powdered sugar. Someone once told me that shortbread is not a Christmas cookie. Tell that to any true Brit and they'll smack you senseless. 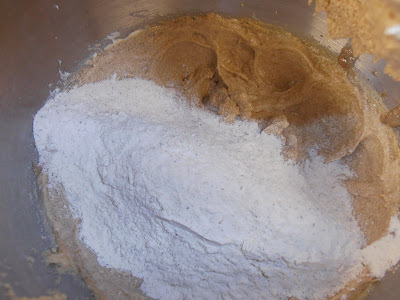 Of course, my Christmas Baking Extravaganza 2011 will kick off in a few short weeks, I can't forget about my wonderful gluten-intolerant husband. I know he will be pretty bummed that there will be cookies he can't eat without feeling the effects the following day. 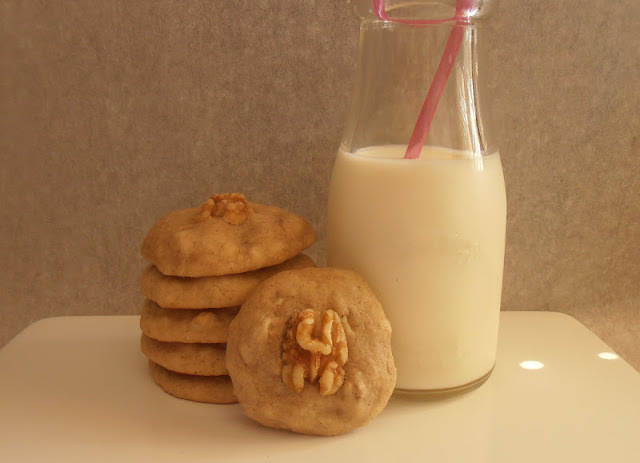 I have searched for some recipes that will appeal to him and his digestive system and found this delightful cookie. Flourless Peanut Butter Double Chocolate Chip Cookies will make his days merry and bright. And score me an extra present in my Christmas sack! Preheat oven to 350º. Line baking sheets with silicone mats for best results - you can also use parchment paper. 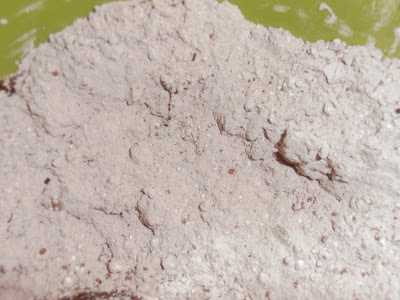 In a large bowl, whisk together powdered sugar with cocoa powder and salt. Whisk in egg whites. 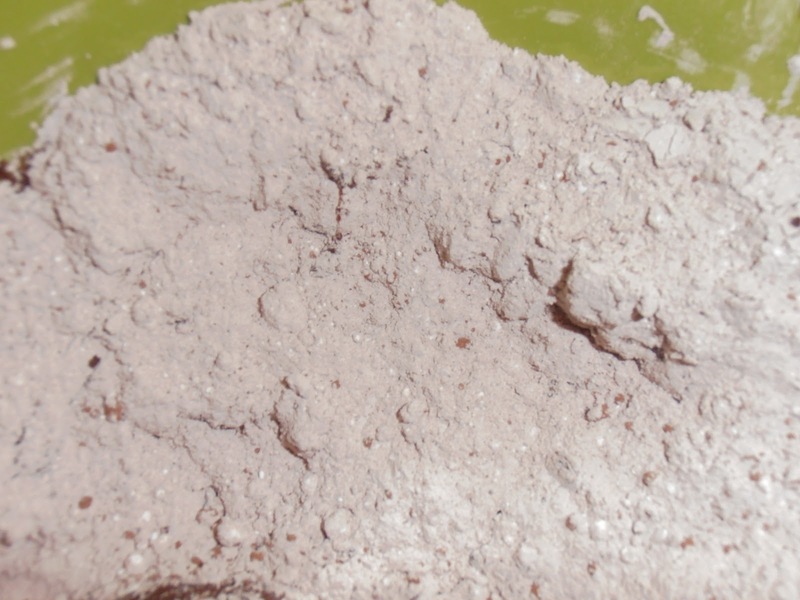 You'll be looking for a brownie-like consistency. 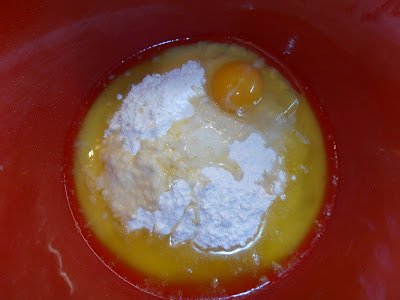 If the batter seems too thick, add another egg white, up to the 4th if needed. 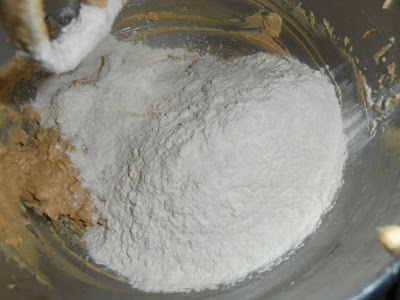 Add vanilla extract and beat just until the batter is moistened. I strongly recommend refrigerating batter for about 10-15 minutes. 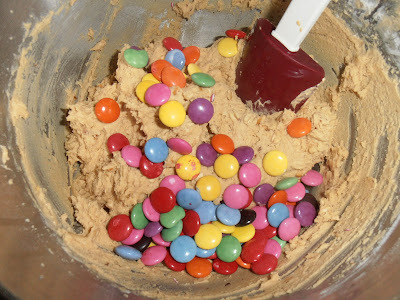 This will help avoid cookies spreading into one big cookie, but the key to avoiding big cookies is using scant a teaspoon when placing on the cookie tray. Spoon batter onto the prepared baking sheets. These will spread, so allow for some room. 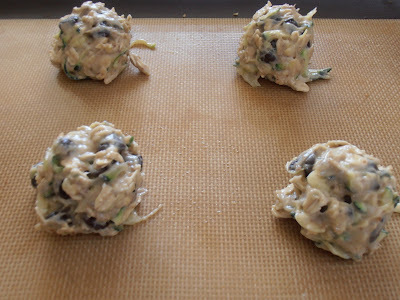 Bake about 14 minutes, until the tops are glossy and lightly cracked. Carefully place onto wire racks. 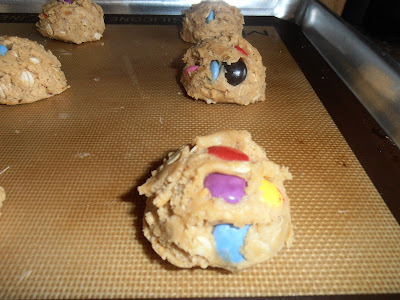 Let cookies cool completely. Melt peanut butter chips and milk in microwave for about 30 seconds. 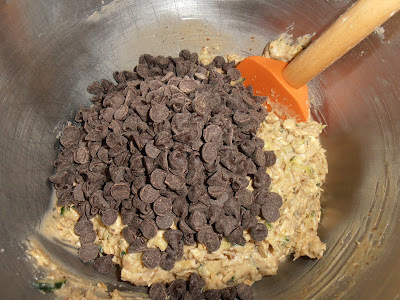 Drizzle over top of cookies. Store in an airtight container for up to 3 days. Did you ever have so many bananas that you don't know what to do with them? That's me. All the time. I am a sucker for slightly off bananas in the grocery store. I'll buy them, peel them, and stick them in Ziploc bags until I can use them. I found several bags in the freezer the other day and realized I need to curb my impulse for buying anymore. 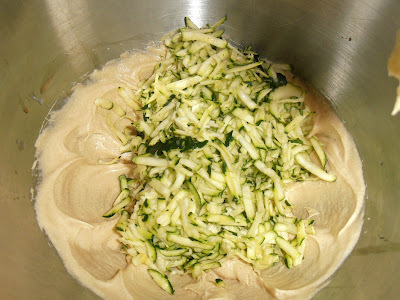 As much as I love banana bread and muffins, sometimes I want something different besides the usual suspects. Like cookies. I always want cookies. Enter Banana Walnut Cookies. 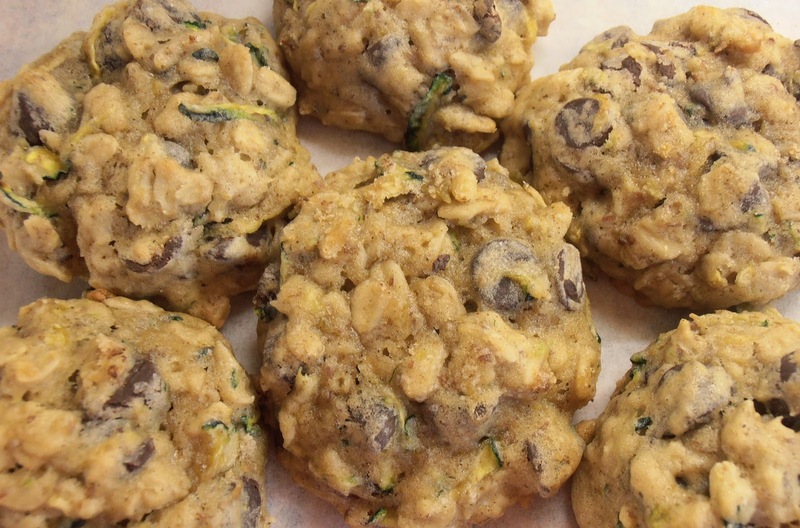 I wasn't sure how they would turn out, but thought I have nothing to lose, aside from some of the bananas, and everything to gain, like freezer space. As a girl, space is crucial. No matter where it is. The freezer should be no exception. 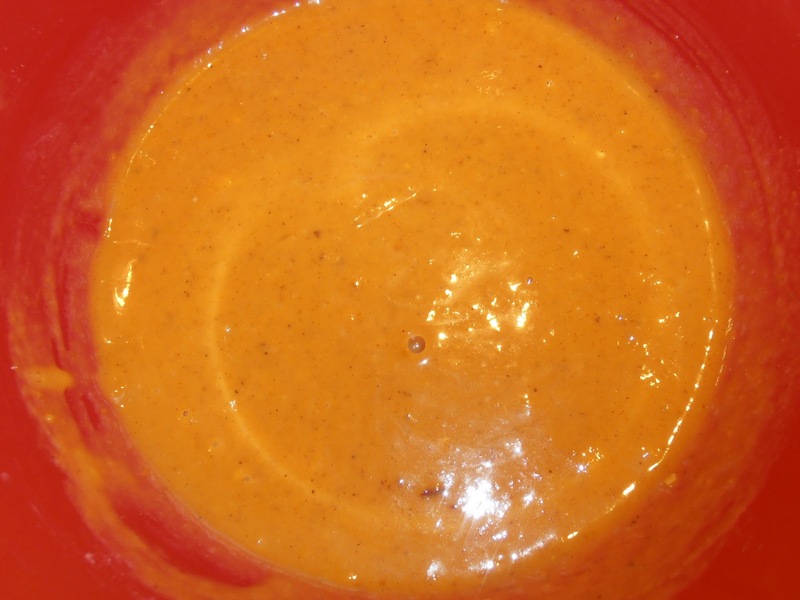 Preheat oven to 350ºF degrees. 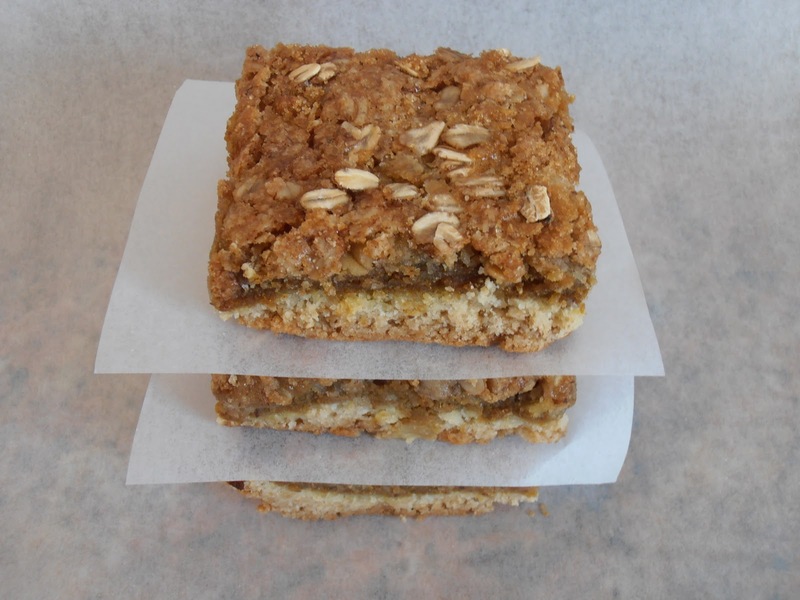 Line cookie sheets with silicone liners or parchment paper. 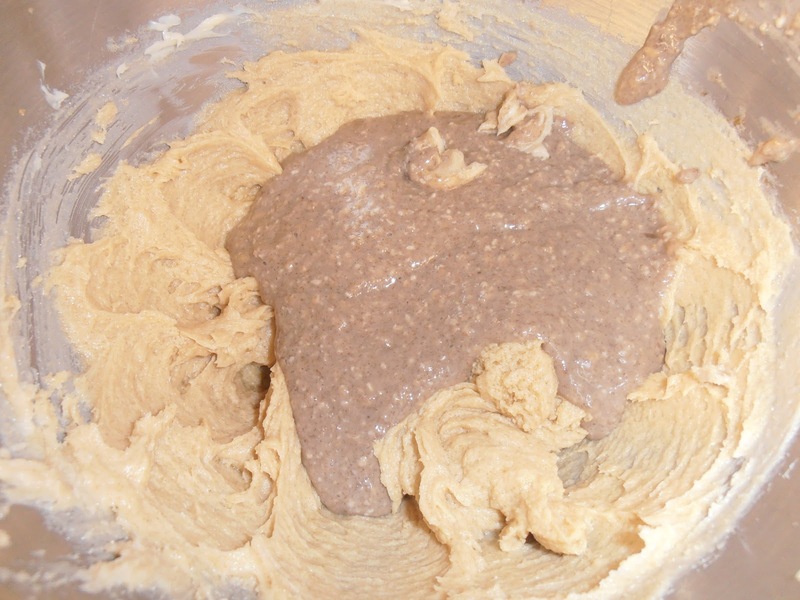 In a bowl, whisk the flour, baking powder, cinnamon, flax seeds, and salt until well blended; set aside. In a large bowl, beat the butter and sugar until well blended. 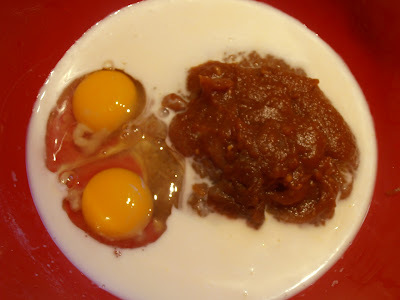 Add egg and bananas. 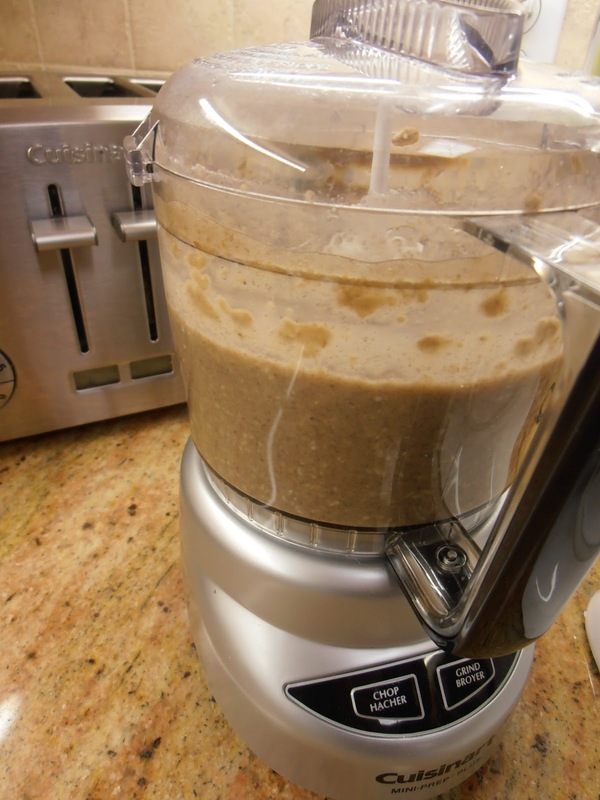 I pureed the bananas with ½ cup oatmeal to add some extra goodness. 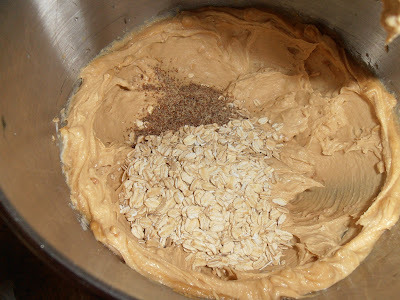 By grinding/breaking down the oatmeal with the bananas, it helps yield a smoother looking cookie. Stir in the flour mixture on low speed until just combined. Using an ice cream scoop, drop cookie dough onto prepared cookie sheets about 2 inches apart. Bake for 10-12 minutes. 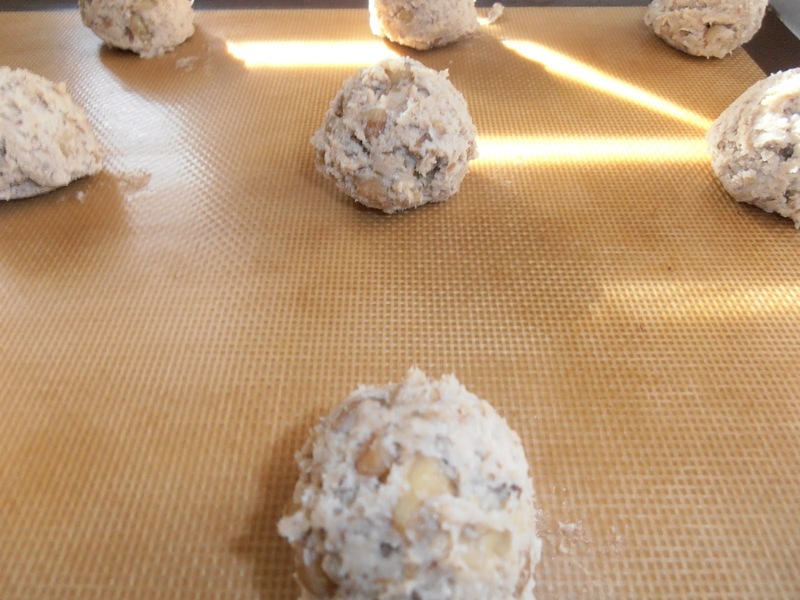 Immediately transfer cookies to a wire rack and allow to cool completely before storing. I LOVE Williams-Sonoma. I really do. It's my happy place. I attended their Customer Appreciation Night a few weeks back - 10% off everything in the store, including sale prices. Yeah. I did some real damage to the husband's credit card and I'm thinking of skipping town when the bill arrives next week. My favorite purchase was definitely the Breville Pie Maker. After weeks of admiring it, I finally broke down and bought it. Let me tell you, it's been WELL worth it. I've made pies that even I didn't think were possible with this crafty and ingenious machine. However, we'll save that for another post. I also picked up a few jars of Muirhead Pecan Pumpkin Butter. This delightful creation is something to get excited about. As I was walking around the shop, mentally keeping track of all the items Santa could get me that would prompt me to squeal with joy, a sweet sales guy named Ty was walking around with a tray of these super delicious squares. I ate 3 of them. I did my usual moaning as I devoured each one and, at the same time, convinced myself I NEEDED 4 jars. Imagine my excitement when I got to the till and they were on sale even further. Squeee! 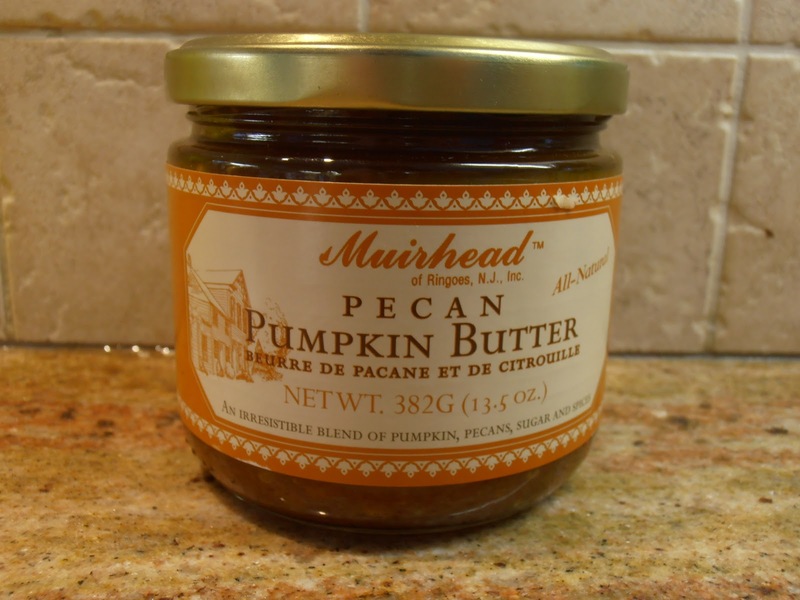 When I got home and did some digging on the internet, I discovered an entire website with dozens of recipes specifically for Muirhead butters. I guess it goes to show it doesn't take a lot to make me happy. Expensive happiness perhaps, but not a lot. Preheat oven to 350. 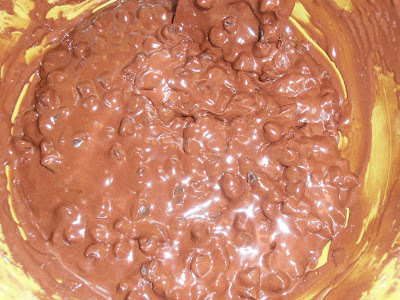 Reserve 1 cup of cake mix and set aside. 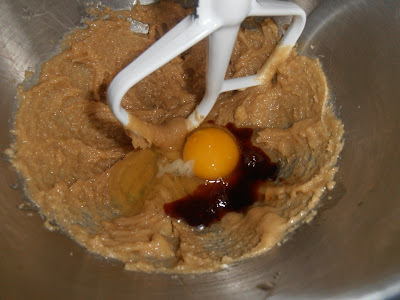 Mix remaining cake with with ½ cup melted butter and 1 egg. 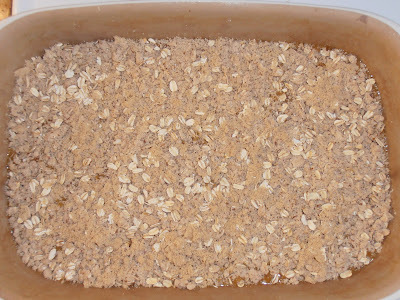 Press mixture lightly into the bottom of a 13" x 9" baking dish. Mix one jar of pumpkin pecan butter with remaining two eggs and milk and pour over cake mixture in pan. Mix remaining 1 cup cake mix with flour, sugar, remaining ¼ cup butter, cinnamon, oats, and flax seeds. 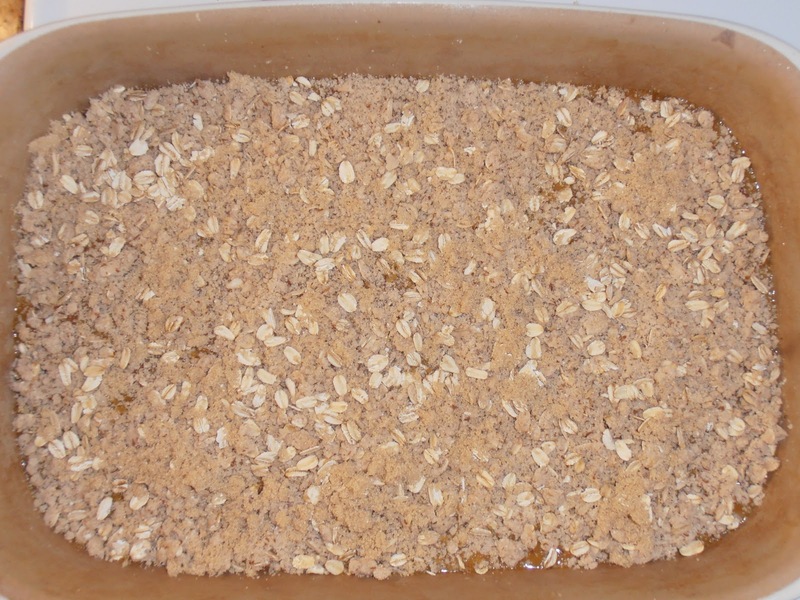 Crumble over the top of the pumpkin layer. 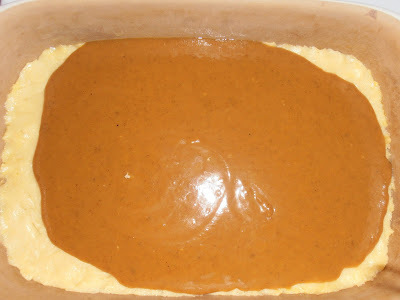 Bake 35-40 minutes or until golden. Cool to room temperature and serve. 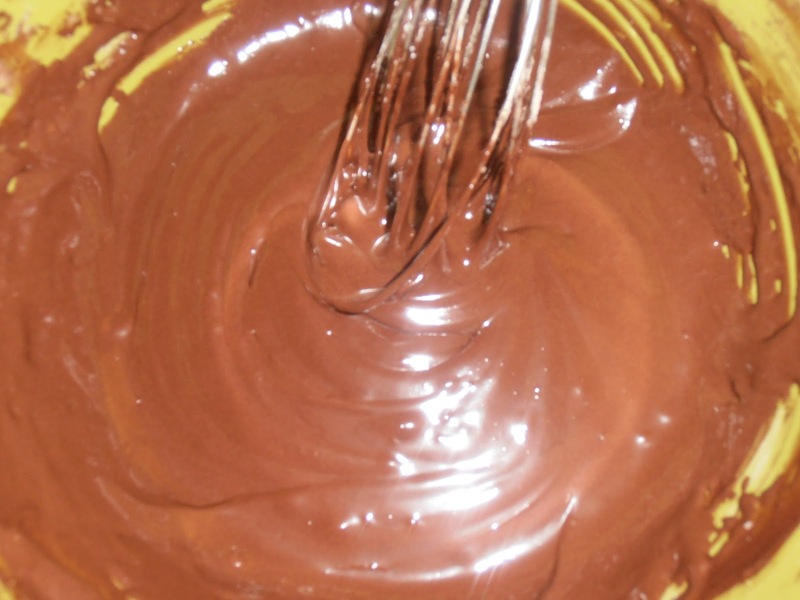 There are some combinations that deserve to be together: chocolate and peanut butter, milk and cookies, Saturday mornings and cartoons; while others should not: chocolate and orange (gag), chocolate and bananas (double gag), Kim Kardashian and marriage. Okay, so perhaps that was a bit mean, but c'mon. 72 days? Really? Today, I had a real hankering for a good peanut butter cookie. One of my most favorite cookies (and I stress on the word ONE because I have about a dozen) are the Girl Scout Cookies, Do-Si-Dos. Peanut butter goodness. When I moved to Canada, I happily discovered they sold them in the grocery store YEAR ROUND under the name, Pirates. You can only imagine my enthusiasm. Speaking of Pirates, let's rewind to a few nights ago. Halloween night. My daughter made out like one - and she was literally the cutest pirate at that. After 3 very successful trips out that night, her 'treasure' consisted of 21 bags of chips and 23 pounds of chocolate. Seriously, I'm not too far off the mark. I guess the upside to being adventurous in the kitchen is knowing that I can incorporate much of her loot into some recipes. When all was said and done, the winner of the night were the Smarties candies. Smarties candies are not to be confused with the Smarties in the States. Those are what Canadians call. Rockets. Anyway, we counted out 46 mini boxes. 46. That's at least like $10 worth of chocolate right there. 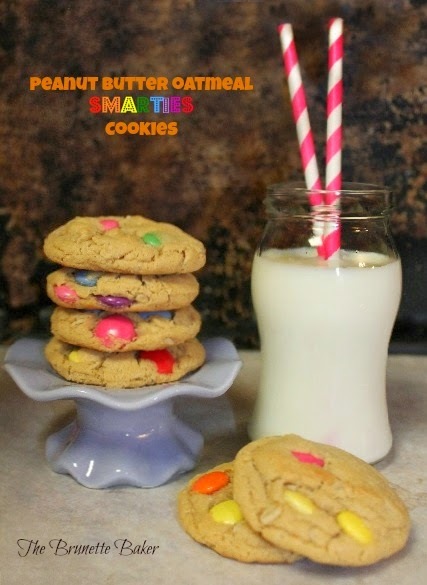 Since we will not eat that many Smarties (well, SHE won't, but I just might) we opened a few boxes and threw them into our peanut butter oatmeal cookie batter. Good call. They were just what the cookies needed. A beautiful marriage of a beautiful combination guaranteed to put a smile on your face the entire time. 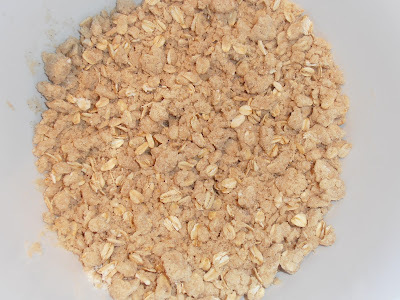 *For a slightly crispier cookie, substitute 1 cup of brown sugar with ½ cup brown sugar and ½ granulated sugar. 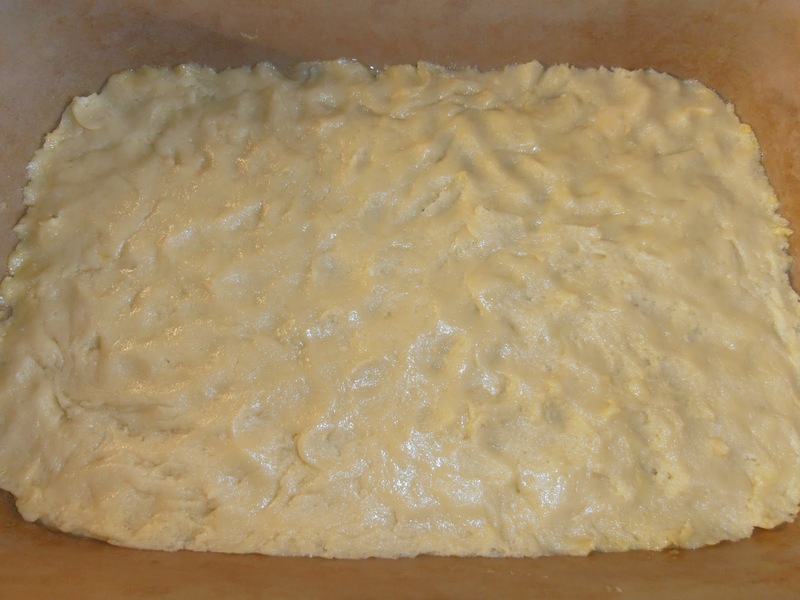 Preheat oven to 350º. In a bowl, whisk flour, baking soda, and salt together; set aside. 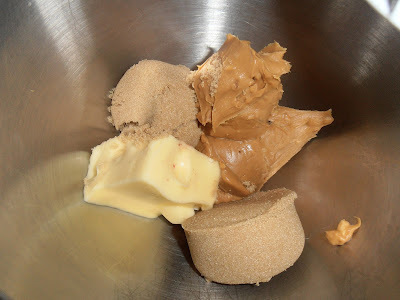 In a large bowl, using an electric mixer, beat peanut butter, butter, and sugar until light and fluffy. Add eggs and vanilla, and beat until smooth. 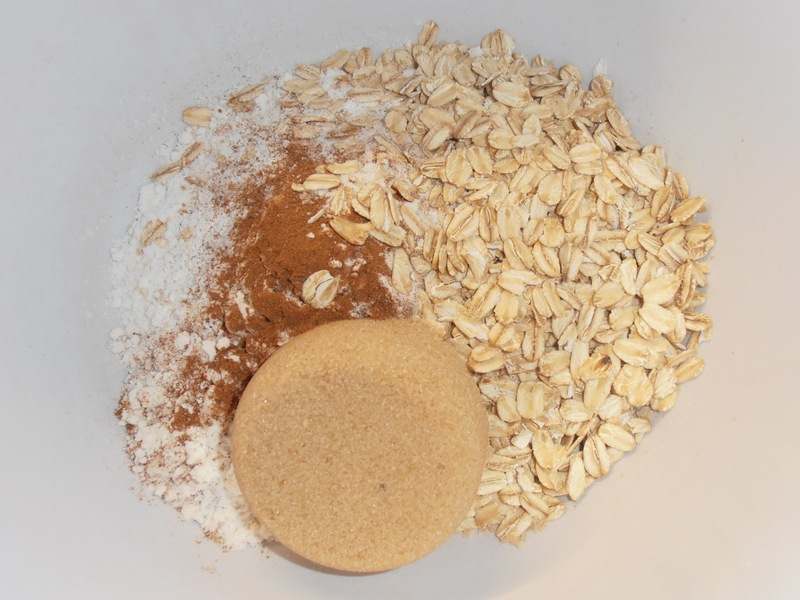 Add oatmeal and flax seeds, if using, and mix. 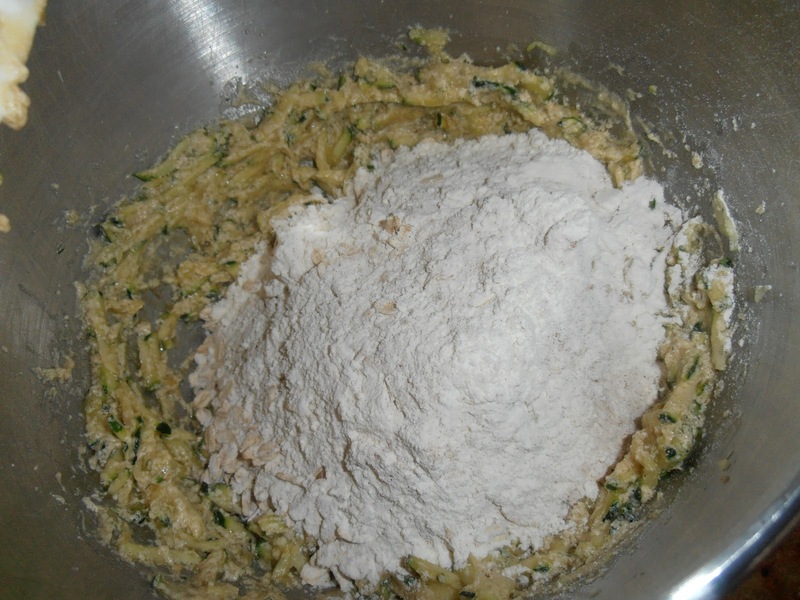 With mixer on low, gradually add flour mixture, beating just until combined. Using wooden spoon or silicone spatula, stir in Smarties by hand. 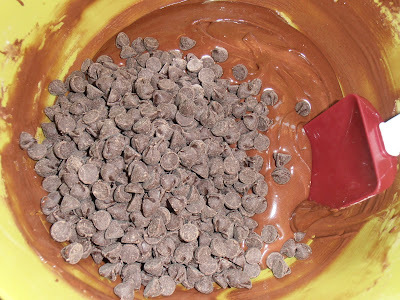 Using an ice cream scoop, drop onto baking sheets. 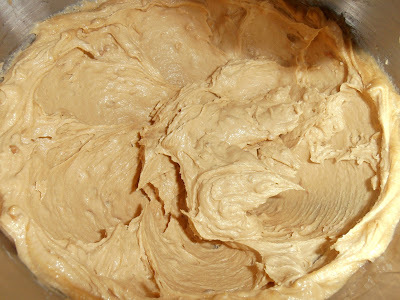 If using a small scoop, bake until golden, about 9 to 11 minutes. If using a large scoop, bake for 13 to 15 minutes. Transfer cookies to wire racks to cool. 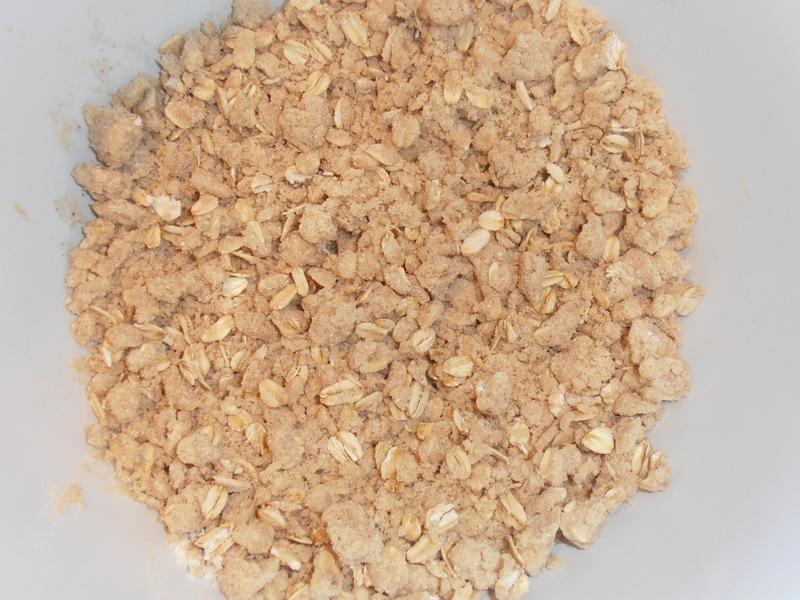 Yields: About 3½ dozen with small scoop or 2½ dozen with large scoop.